Cedefop offers a concise, clear and concrete picture of vocational education and training (VET) systems in a new publication, which brings together the main VET features and data in 30 countries: all EU Member States, Norway and Iceland. While countries share goals and challenges, their VET systems are diverse, shaped by socioeconomic contexts and traditions. 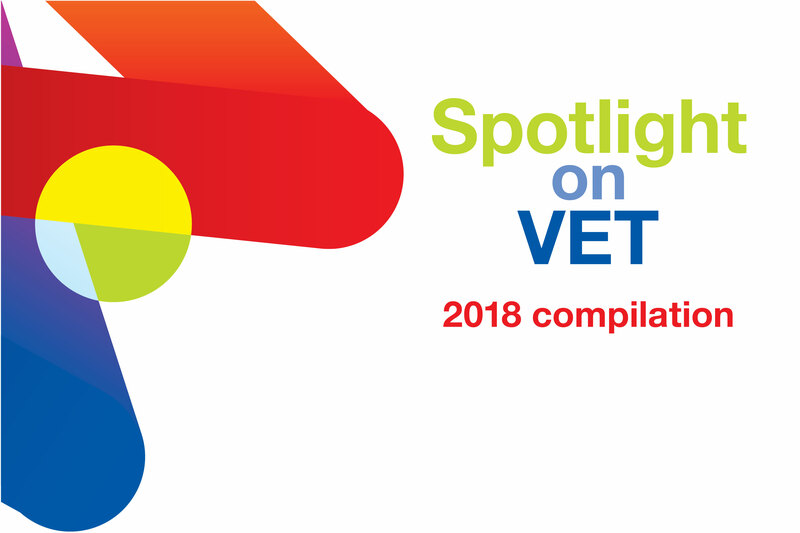 The Spotlight on VET series compilation is addressed to those who need a quick overview of VET’s essential features in Europe. Clarifying VET’s place in countries’ overall education and training systems, it presents main accession and progression routes for learners; types and levels of qualifications they lead to; types of programmes, delivery modes, work-based learning ratio and duration. It is presented in a way that helps national and international readers understand the different systems and allows for some comparisons. This publication is a useful starting point for policy-makers, social partners, experts, researchers and journalists. It also provides orientation to other actors involved in VET-related activities: VET providers, teachers and trainers; guidance, qualifications and validation staff; and to other readers who want to familiarise themselves with VET systems across and beyond Europe. Cedefop’s ReferNet partners contributed to the compilation by providing the relevant national information. Separate flyers for each country that is covered by the Spotlight compilation, with some additional info, can be found here. Check out also the Cedefop animated videos presenting in brief the VET systems in the countries that have held the EU rotating Presidency in the past few years.